Many people like to have an alcoholic drink, but for some this becomes more than a luxury, it becomes an addiction. 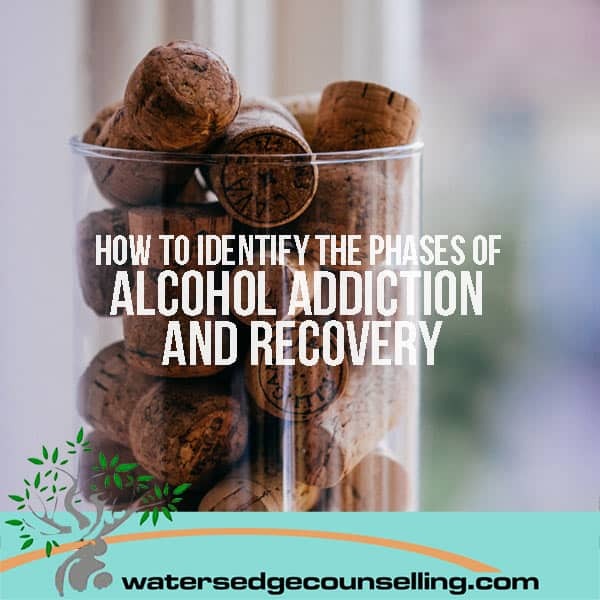 So how do you identify if you or a loved one are experiencing addiction or are in danger of falling into it? The Jellenik Curve (pictured below) describes the common phases of alcohol addiction, and helps us to do just this. Whether you’re at the beginning of the curve and have the suspicion you’re drinking just a little too much, or are in the middle and are experiencing increased black outs, this will show you what is and isn’t currently healthy about your lifestyle. Even more importantly, it shows you that it is possible to enter recovery. If you’re concerned about the health of you or a friend, take a look at this infographic by the Watershed Addiction and Recovery Programs and see what part of the ‘rollercoaster’ you’re on. By observing addictive traits in yourself early, you can change your behaviours and prevent a downward spiral into alcohol addiction. Alternatively, if you have overcome addiction in the past, this curve is a fantastic way to moderate your behaviours. If you find yourself falling into old habits, start making phases 4 and 5 a priority again. And if you’re not sure you can be objective, ask a friend to honestly assess where they think you’re at in comparison to the Curve below. Do you want to revolutionise your life and see what you can achieve without alcohol? Sign up for the free Watersedge 30 Day Challenge and have a tip sent to your inbox every day for a month. Find out more information here. Do you rely on alcohol to get you through the day? Are you concerned that a loved one may have an addiction? Call Colleen on 0434 337 245 or Duncan on 0434 331 243 for a FREE 10 minute consultation. To make an appointment, go to BOOK NOW.